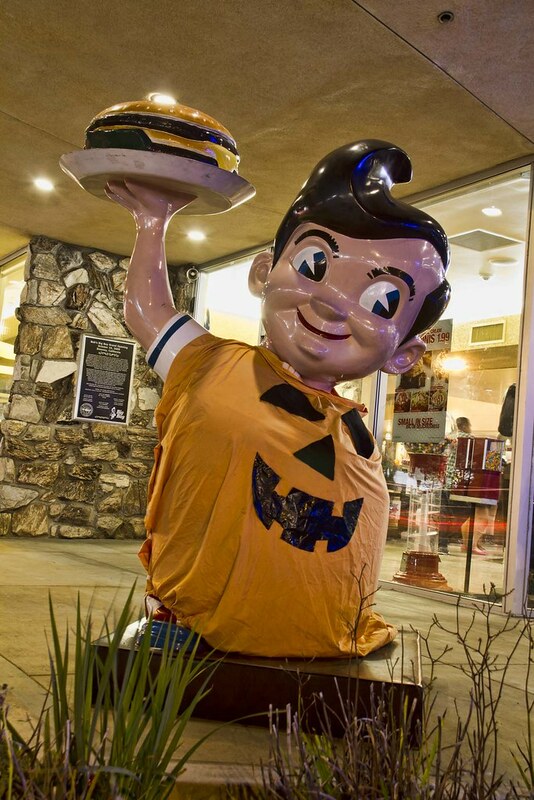 Tonight, Bob's Big Boy was having a Halloween themed cruise night sponsored by the Reflections Car Club of Southern CA. It was a fun event, with lots of classic cars on display. 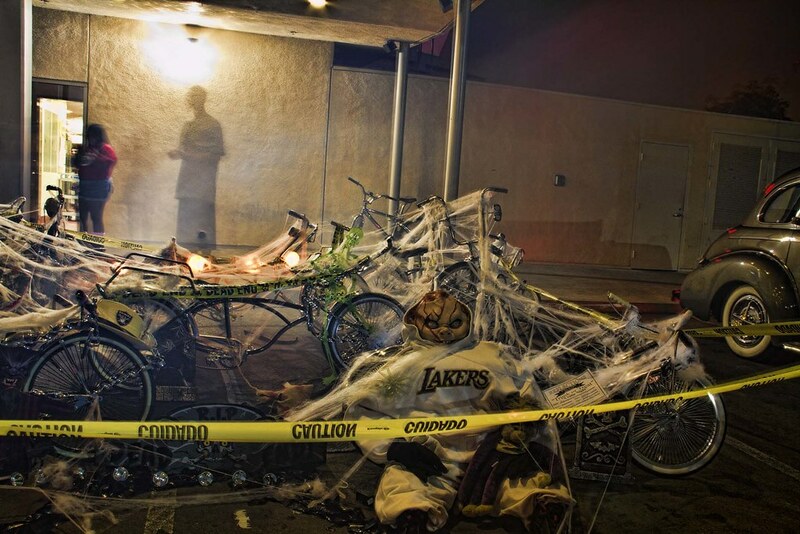 Many of the cars were decorated, their trunks full of scary stuff. Bob was even in a costume! 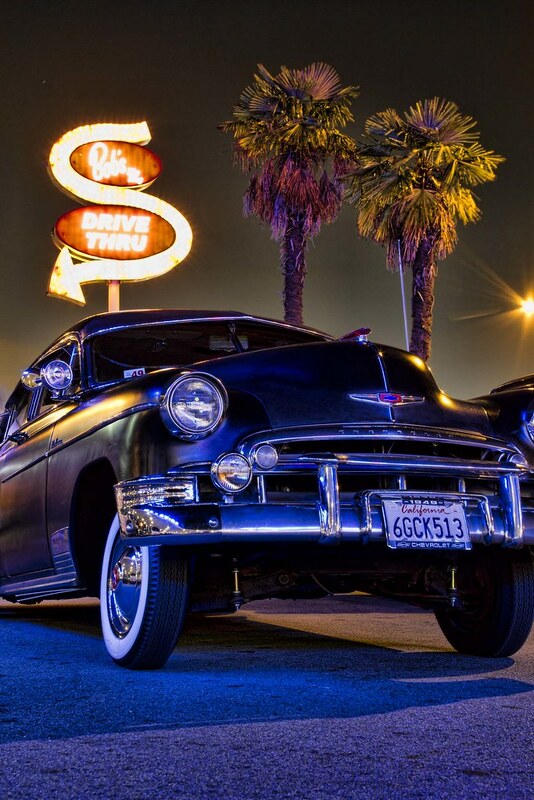 That photo of the early 50s Chevy with the palm trees and sign in the background is really cool!